Today FM’s Sound Garden Stage is making a comeback at Electric Picnic this year and we are SO excited. We've got a pair of tickets up for grabs for the SOLD OUT festival of the year, head to the bottom of this page to enter! 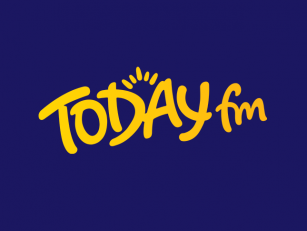 Today FM will be there all weekend and if you’ve been to our tent before you’ll know that it is one of the best destinations to dance your socks off to the tunes you know and love. Expect a weekend of non-stop dancing, entertainment and laughter. Here’s a rundown of what we’re bringing you, make sure you screen grab this line up and come say hi and party with us at the Today FM Sound Garden at Electric Picnic! We’re kicking off the weekend with a bang at 5PM by bringing you a two hour DJ set from Today FM’s Fergal D’Arcy. Following that we will have an exclusive performance from one of Ireland’s biggest bands, Wild Youth. And of course, it wouldn’t be Friday without Friday Night Anthems presented by Phil Cawley! The wonderful Ed Smith will be bringing you the tunes to kick off your Electric Picnic Saturday! If you’re a fan of Karaoke, Dermot & Dave will be hosting an Electric Picnic special of Cheese & Crackers Karaoke where you can choose the songs you want to sing your heart out to, more on that HERE. At 6PM Dec Pierce and The Hit Machine Drummers will blow your mind with Block Rockin’ Beats LIVE along with DJ John Gibbons and RobbieG. From 9PM till late Fergal D’Arcy is back to close out the night and play all of your festival favourite tunes. And yes, yes there will be glow sticks. Following his success at Longitude this year in what he describes as ‘the best time of all time’ and ‘totes amazeballs’ Today FM’s Joe Donnelly will be bringing you a DJ set from 3PM with an eclectic mix of 90s and modern day bangers. Ed’s Songs of Praise will broadcast live from The Sound Garden Stage and of course, it wouldn’t be a festival without the queen of disco: Kelly-Anne Byrne! We’ll also be pampering you with free festival make-up because who wants to go to the effort of doing their own makeup at EP?! Keep your eyes peeled for our giant yellow tent (opposite Casa Bacardi) and get ready for one unforgettable weekend. Tickets are sold out, but we've got heaps of chances for you to win weekend passes for you and a friend! Stay tuned to Today FM across the week and you can enter on our Facebook page too, for the very last chance to win Electric Picnic 2018 tickets! The full line up has now been announced with headline acts Kendrick Lamar, Massive Attack, N.E.R.D. and The Prodigy set to make it an unforgettable weekend.